The Toronto International Boat Show is the premiere show in Canada, and one of the world’s leading boat shows. Each year this event brings the entire recreational boating industry together – manufacturers, dealers and boating consumers. It is a must-exhibit event for any business in the Canadian boating industry. 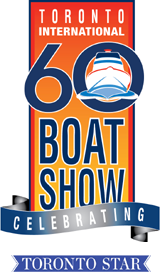 It is a must-attend show for boaters and anyone thinking of getting into boating! Quality Attendees! The Toronto Boat Show each year attracts over 70,000 people with the 2017 show having an attendance of 77,105 qualified consumers. More than 400,000 net square feet of exhibit space. Over 1,200 boats on display including: power, sail, fishing, pontoon boats, trawlers, canoes, kayaks, electric and wooden boats, from 6 - 50 feet! Mariner’s Marketplace and Cottage Country showcasing marine accessories, services, docks electronics, marinas, nautical clothing, footwear, gifts and more. Show marketing efforts work year-round to attract qualified attendees and increase your chances to get leads and make sales. A highly visible, fully integrated advertising campaign launches in the weeks leading up to the show, featuring a strategic mix of print, broadcast, online and social media (facebook, twitter and instagram) advertising and e-mail. The public relations team reinforces the advertising messages, to general show awareness, securing news stories in TV, newspapers, magazines and online.